The Protect It Futon, Mattress, and Bedding Protectors are Waterproof covers. They cover the entire futon or mattress with a smooth and comfortable waterproof polyester material on all sides of the cover, and have a 3 sided zipper. They are intended to be used as a protective layer, not a comfort layer. They have a smooth terrycloth polyester outer lining, and a polyurethane inner lining. We also carry the following other styles of Bedding and Futon Mattress protectors for water, dust, allergies, bed bugs, and more. AllerZip Encasements - Complete Mattress Protection against Bed Bugs, Water, Allergies, and Dust Mites with Terrycloth Comfort. Protect A Bed Premium - Fitted Sheet Style Cover used for Dust, Allergies, and Water protection. 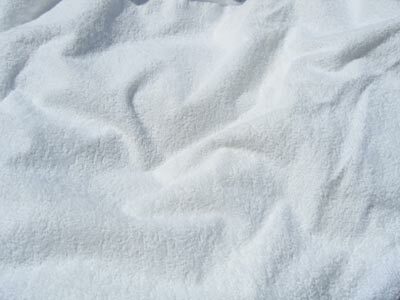 Absorbent - Soft comfortable 100% polyester ourter lining for maximum softness, absorption, and strength. Zip around full covering style for Futon or Mattress protection.